JYJ, comprised of members Kim Jaejoong, Park Yoochun, and Kim Junsu, began 2012 by continuing to take the necessary steps to reach their growing international fan base. Since 2010, with the release of their 1st worldwide album, The Beginning, JYJ have progressively advanced towards the international stage. 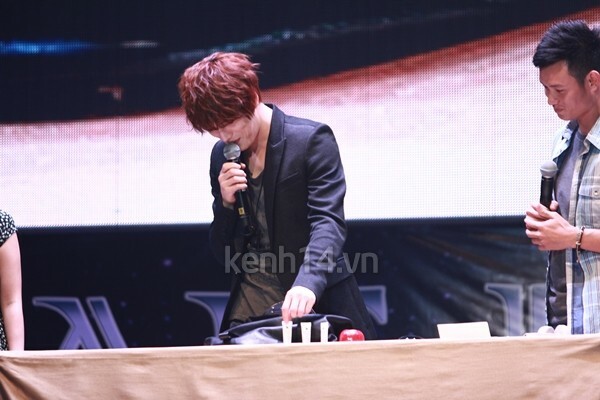 In January 2012, fans all over the world excitedly anticipated the additional concerts in Chile and Peru that would conclude JYJ’s 2011-2012 World Tour. The concerts were met with a hot response in South America, with 6,000 fans meeting JYJ in a sold out show in Peru and close to 5,000 fans flocking to see the group in Chile. JYJ’s World Tour gathered more than 200,000 fans worldwide. Also in early January, JYJ broadened the channels of communication with their fans worldwide through the opening of their official JYJ Facebook and YouTube pages. Regular updates about each member’s activities as well as behind-the-scenes photos and news about JYJ through Facebook and YouTube have increased the group’s accessibility to fans, both domestic and international, that are unable to see JYJ through the regular promotional channels in South Korea. In February, despite film distributor CGV’s one-sided decision to cancel the screening of JYJ’s daily documentary “The Day”, Lotte Cinema picked up the movie and agreed to screen it. Although it eventually was only released in 19 theaters, “The Day” dominated the box office the first weekend of its release, drawing 24,000 fans in just 4 days. JYJ further proved their popularity on the international stage by performing for the First Ladies of the World at the Blue House in March. First Ladies from Gabon, Nigeria, South Africa, Malaysia, Vietnam, Switzerland, Singapore, Italy, India, Indonesia, China, Chile, The Philippines, countries in the United Nations, the European Union and more enjoyed JYJ’s exclusive performance of “Be My Girl” and “In Heaven” for them. A few First Ladies especially waited until the end of the event in order to take a photo with JYJ. 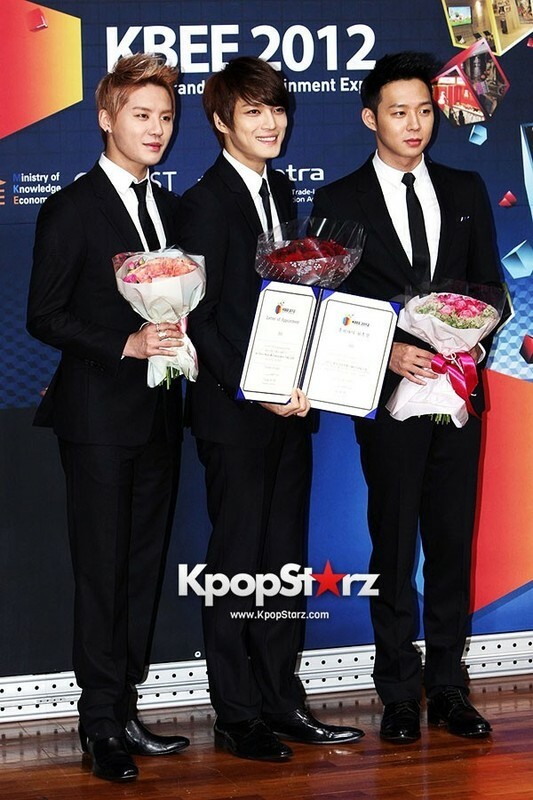 JYJ’s role as cultural ambassadors continued in 2012 when they were chosen as the Goodwill Ambassadors for KBEE 2012 (Korea Brand and Entertainment Expo) in Osaka. JYJ once again proved their overseas popularity when more than 20,000 applications were received from the Japanese fans to be invited to the opening ceremony when only 500 were accepted. One of the major events of 2012 that held special meaning for JYJ and their fans was the 2012 JYJ Membership Week. 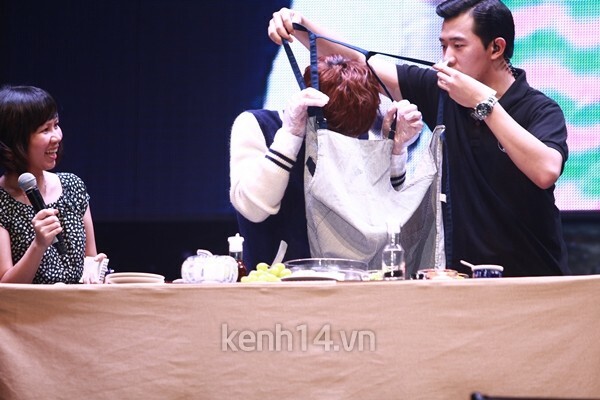 The event, held from June 28 to July 1, included fan meetings, exhibitions displaying JYJ’s previous works and costumes, movie theater screening of “The Day”, trick-art, and other entertainment. The event gathered around 15,000 Korean fans and 7,000 Japanese fans. 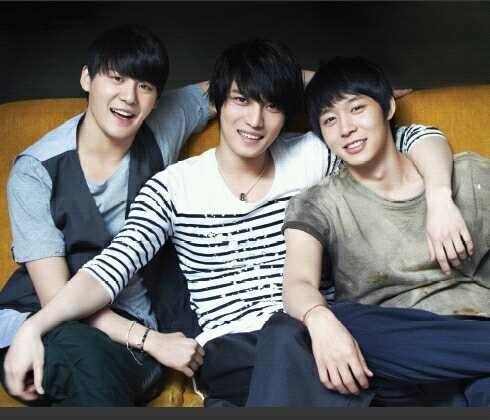 JYJ spent the most of 2012, aside from preparing for future group activities, pursuing solo projects. 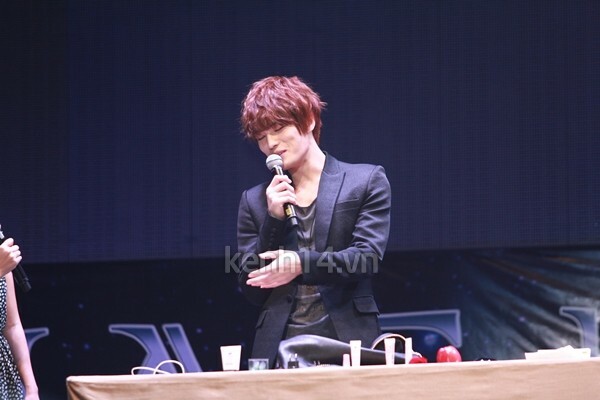 Kim Jaejoong started off the year with fanmeeting event in Turkey. He also attended a state dinner with the president of Korea and Turkey as a delegate after recieving an invitation to hold the fanmeeting and be a guest at the banquet in Turkey’s Presidential Palace. 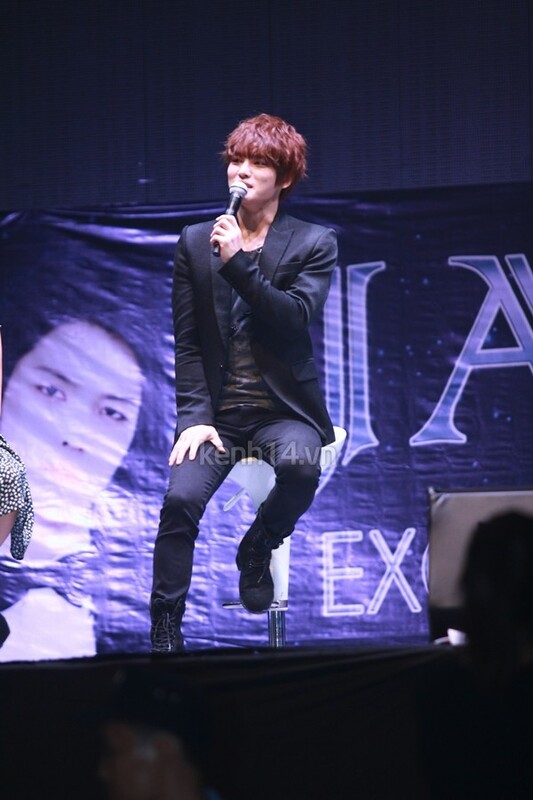 Kim Jaejoong held a fan meeting in Taiwan in March, following the immense popularity of his first Korean drama, “Protect the Boss”, when it aired in Taiwan. He displayed his immense popularity in Taiwan when 2500 tickets were sold out within minutes, causing the servers to crash. 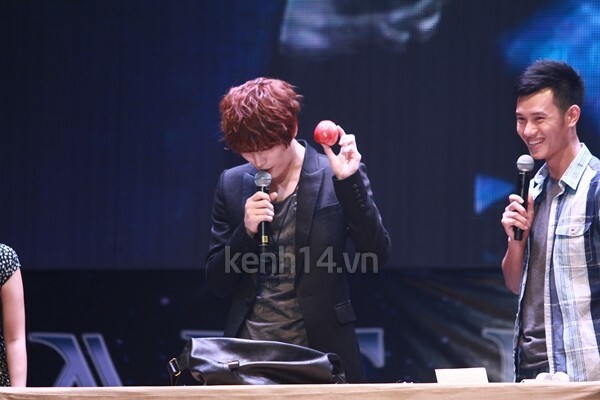 During the fanmeeting there was no need for an interpretor as fans, having taken an interest in the Korean language due to Kim Jaejoong, often understood and reacted to his words immediately without translation. Kim Jaejoong challenged himself in the hot summer months of 2012 by simultaneously filming his first historical drama, “Time Slip Dr. Jin”, and his first movie, “Jackal is Coming” also known as “Code Name: Jackal”. Although faced with a grueling filming schedule between the two projects, Kim Jaejoong impressed the actors and crew on both sets with his consistent professionalism and contribution to the amicable atmosphere at the filming site. 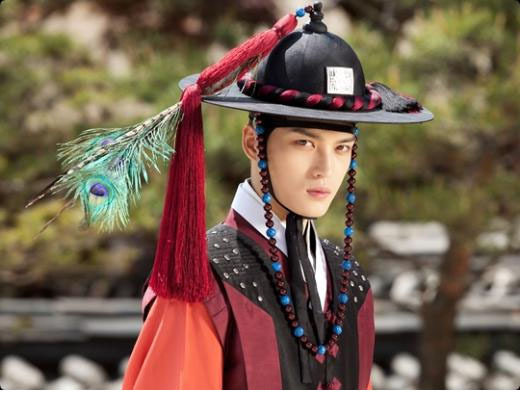 “Time Slip Dr. Jin” began airing in May with Kim Jaejoong’s character, Kim Kyung Tak, immediately earning the pity of the viewers through his unrequited love of Hong Young Rae, played by Park Min Young, and his star-crossed friendship with Yong Rae’s brother, Young Hwi, played by Jin Yi Han. he time, fellow actor Lee Bum Soo remarked, “He sincerely wants to express the scenes that he is given. To concentrate on reaching his goal, he watches the actor’s acting and reacts to it. I think this is how actors learn from each other. I want to give Kim Jaejoong a high score in acting.” Jaejoong’s hard work was acknowledged at the end of year at the 2012 MBC Drama Awards, where he received the Best New Male Actor through his role as Kim Kyung Tak in “Time Slip Dr. Jin”. In October, Jaejoong walked on red carpet as a movie actor for the first time while promoting “Jackal is Coming” also known as “Code Name: Jackal” with his co-star, Song Ji Hyo, at the Busan International Film Festival. 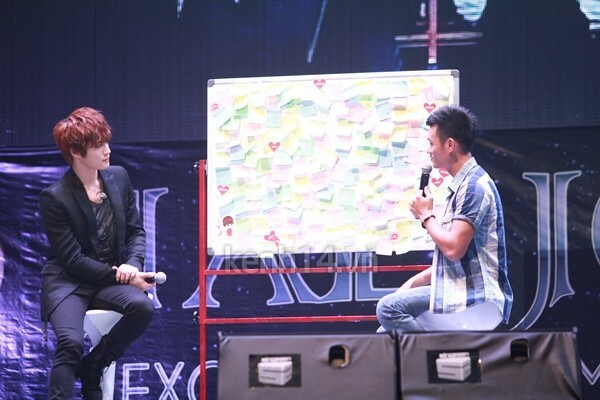 After filming ended for “Time Slip Dr. Jin” and “Jackal is Coming” also known as “Code Name: Jackal”, Kim Jaejoong embarked on his first Asia Fan Meeting Tour, greeting a total of 17,500 fans in China, Thailand, Indonesia, and Vietnam. 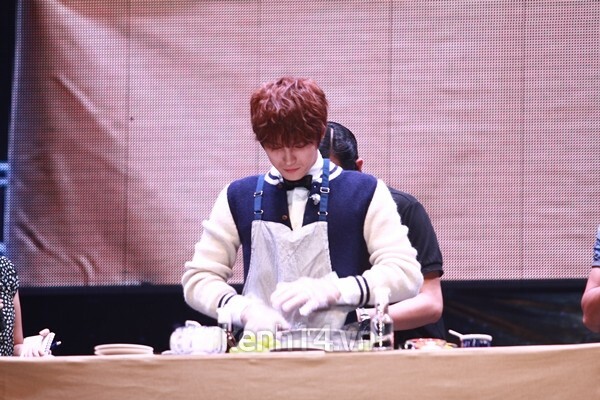 He shared stories about his experiences during filming, played games, shook hands, took group photos, and even personally prepared food for his fans, making new memories and strengthening his bond with his fans across Asia. 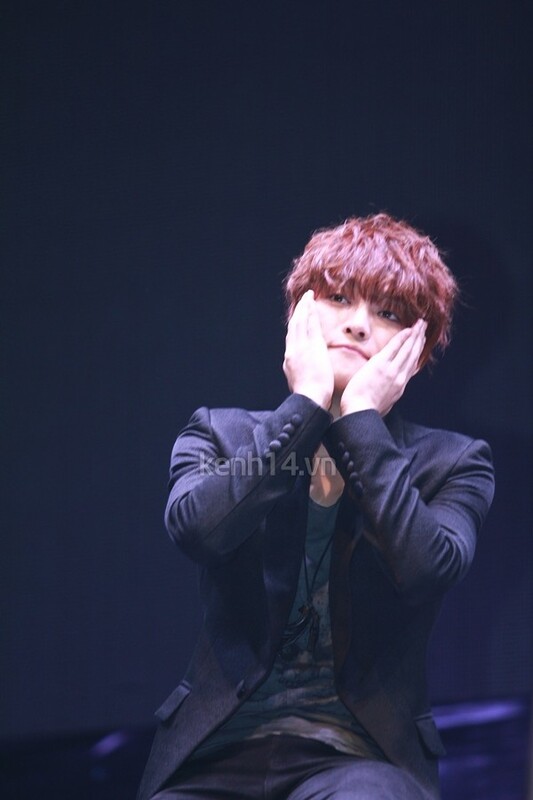 Near the end of December, C-JeS announced Kim Jaejoong would release his first solo mini album the following month. The news made JYJ fans even more eager to start 2013 with new music and more activities from Kim Jaejoong. Titled “I” the mini-album has since swept the Hanteo Charts and the MV to his title track “Mine” has exceeded 1.3 million views on YouTube. Kim Junsu pursued his passion for music through his participation in “Elizabeth” the musical, the release of his first solo album, Tarantallegra, and headlining his first world tour as a solo artist. Kim Junsu started his solo activities in February by starring in his third musical, “Elizabeth”, until taking his final bow as Death on May 2. The role of Death, a transcendent character that falls in love with Queen Elizabeth, led Kim Junsu to his first Best Actor award at the 18th Annual Korean Musical Awards. performance. In addition, Mr. Levay praised Junsu’s performance as “perfect and satisfying.” Further displaying his “ticket power” in the musical industry, tickets for all 32 plays were sold out in just ten minutes after the sales began. Kim Junsu cast his spell on the world with his 1st solo album titled Tarantallegra in May, releasing his jaw-dropping music video, and following that with news that he would embark on his first Asia Tour. Kim Junsu is well known for his vocal abilities and he continued to garner interest in his album when it was revealed that he self-composed most of the songs on the tracklist. When pre-orders for the album began on Synnara, the largest online music market site in Korea, the servers crashed immediately due to the overwhelming response and interest for Tarantallegra. 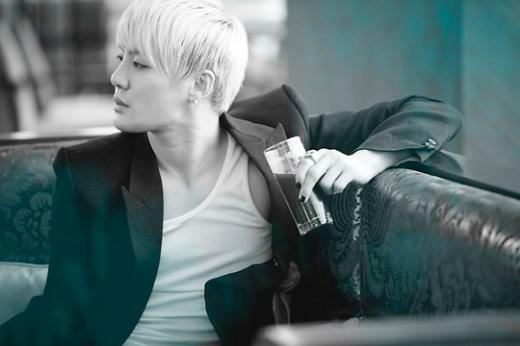 The “Tarantallegra” music video was centered around the concept of “Unequalled” and Kim Junsu made sure not to disappoint his fans. He released a powerful MV that refused to conform to the mainstream K-Pop aesthetic and formula. The dance was specially choreographed by Jeri Slaughter who also previously worked with JYJ for their World Tour. Fellow member, Kim Jaejoong also contributed to the album’s production as it became known that “No Gain” was written and composed by him. Bangkok, Jakarta, Taipei, Shanghai, and Hong Kong before officially kicking off his world tour in New York City. From New York he moved on to L.A., Mexico, Brazil, and Chile, before finally concluding his tour with a final stop in Germany, having drawn 53,800 fans in total across four continents in 12 cities. Before beginning his world tour in New York City the singer released “Uncommitted” along with an MV to accompany the single. Working with Sony Producer Bruce “Automatic” Vanderveer and a prominent music video director in the U.S., Marc Klasfeld, Kim Junsu continued to prove his status as a world star with the release of “Uncommitted”. But Kim Junsu didn’t stop there. Later in the year he sang “Love is Like A Snowflake” for the OST of popular drama “Nice Guy” and gave a Christmas gift to his fans by releasing “Thank U For” on Christmas Eve. 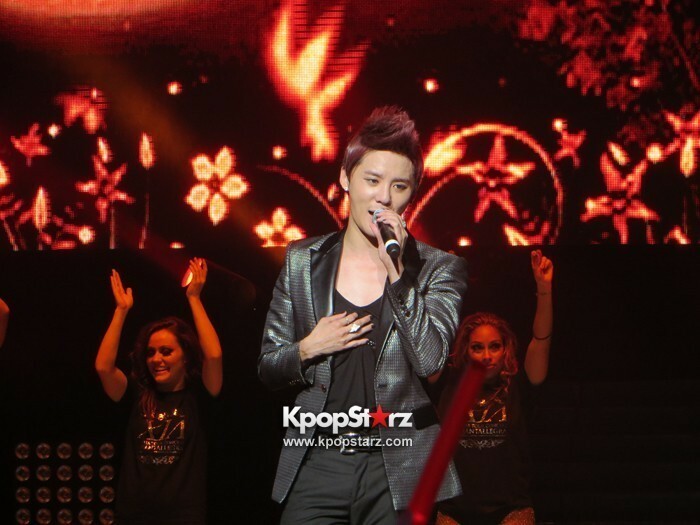 Junsu spent the end of the year doing what he does best: performing live. World star Kim Junsu welcomed 2013 with three sold-out Ballad and Musical Concerts, gathering a total of 21,000 fans in Seoul from Dec 29-31. Park Yoochun greeted television audiences in 2013 through lead roles in two dramas, delighting viewers with his comedic acting in “Rooftop Prince” and pulling at their heartstrings in the melodrama “I Miss You”. 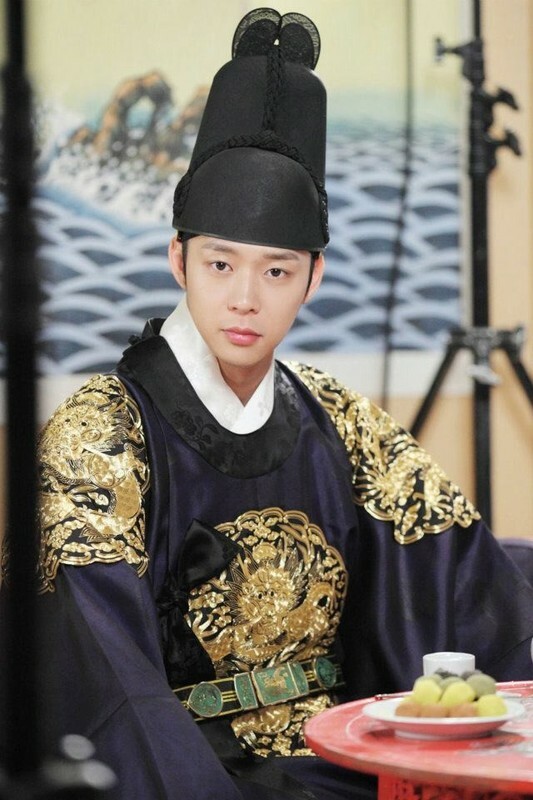 After concluding JYJ’s World Tour in South America, Park Yoochun appeared in SBS’s “Rooftop Prince” from March to May. In June, “Rooftop Prince” made headlines for having over 77 million views and more than 110,000 comments left by fans of the drama on Youku, the largest video-sharing site in China. The drama received much love from both domestic and international drama fans alike, cementing Park Yoochun’s international popularity as an actor. In August, Park Yoochun won the Outstanding Korean Actor and the People’s Choice Award (Korea) in 2012 Seoul International Drama Awards, dedicating the awards to his late father who unfortunately passed in March of that year. espite his busy schedule, Park Yoochun, made time to personally interact with his fans across asia through his 1st Asia Fan Meeting Tour. 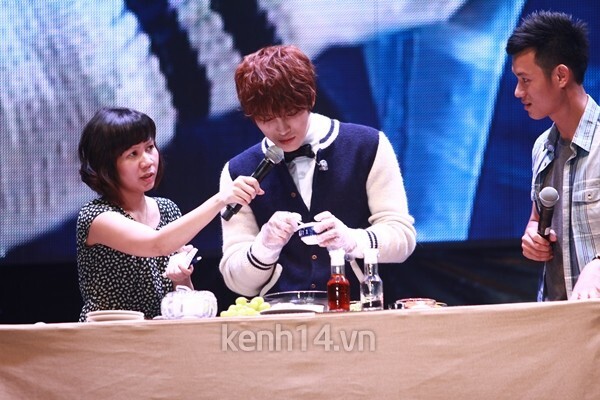 Meeting his fans in Shanghai, Shenzhen, Taiwan, and finishing his tour in Thailand. Tickets to each event were sold out from the beginning to the end of his tour, which drew a total of 17,000 fans across Asia. Park Yoochun’s 2nd drama project in 2012, “I Miss You”, begain airing in November it soon drew tears from TV viewers through its heartbreaking storyline and exceptional cast. Acting as Han Jungwoo, a detective who could not forget his first love after 14 years, Park Yoochun stole audience’s hearts for the second time in 2012. 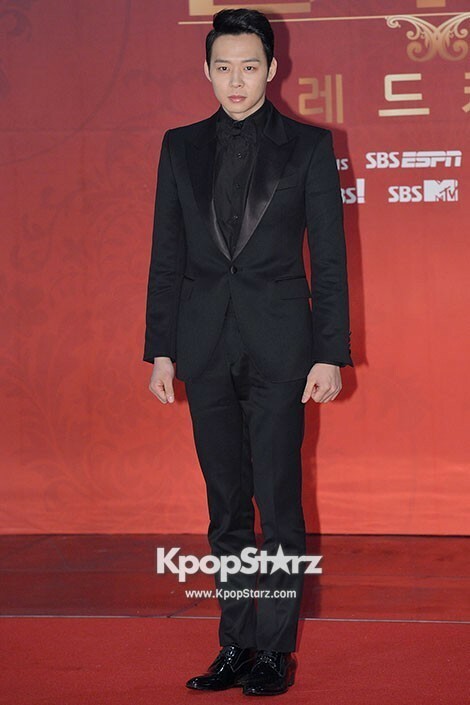 At the year-end drama awards Park Yoochun was recognized for his hard work and undeniable talent. He took home 4 awards from the 2012 SBS Drama Awards including Excellence Actor Award (Drama Sepcial), Netizen Popularity Award, Top 10 Stars, and Best Couple (with “Rooftop Prince” co-star Han Ji Min). The Excellence Actor Award (mini series) at the MBC Drama Awards also went to Park Yoochun for his role in “I Miss You”. 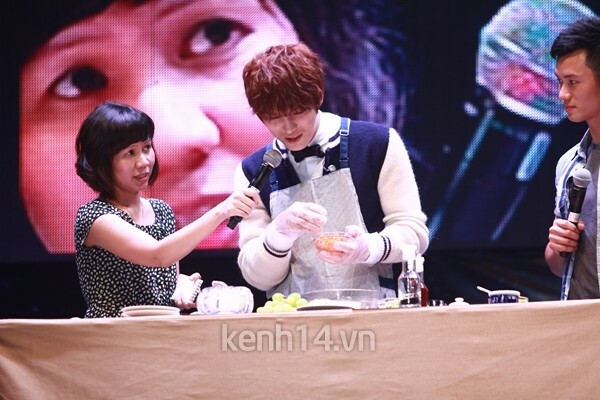 Aside from his fan meeting tour and drama projects, Park Yoochun made time to support charitable causes. A series of video tutorials with Park Yoochun demonstrating how to knit hats for Save the Children’s Newborn Hat Knitting Campaign motivated the public to share their warmth with others during the coldest months of the year. In the last days of 2012, Standard Chartered Bank officially announced their appointment of Park Yoochun as the advertising model and honorary ambassador of their Good Library Project. The project asks for people to lend their voices in reading books and movies that will be recorded for blind people. It will continue into the spring of 2013 when a lucky applicant will get a chance to record a film commentary and audio book with him. Richard Hill, the CEO of Standard Chartered Bank said, “We chose Park Yoochun because his soft voice and smile went well with the project.” Park Yoochun’s kind and gentle image is suited to many different projects and his fans anticipate more charitable endorsements in the future. On November 28, 2012 the legal battle between SM Entertainment and JYJ that began in 2009 ended in 3 mutual agreement. After years and 4 months, the two parties agreed to withdraw all lawsuits against each other and agreed to not interfere in any of each other’s activities in the future. It is a fact that JYJ’s broadcast restrictions for the last 3 years have been due to their ongoing legal dispute with SM. The major broadcast stations have used the dispute to justify not allowing JYJ to appear on music and variety shows. In the past, SM has been accused and found guilty of interfering with JYJ’s Korean activities by acting in collusion with third parties such as the Korean Federation of Pop Culture and Art Industry (KFPCAI). SM has long been suspected of applying “back-door pressure” on the broadcasting companies to restrict JYJ’s broadcast activities, a suspicion that has only grown as fans have yet to see JYJ appear on any music or variety shows following the end of the legal proceedings. Nevertheless, the end to the long legal battle with SM was a positive step for JYJ and the more recent news concerning JYJ winning their legal cases against former Japanese management company, AVEX, made fans hopeful that JYJ would be able to resume activities in Japan. AVEX was ordered by Tokyo District Court on January 18, 2013 to pay 6.6 billion Yen (approx. 7.8 billion Won) to C-JeS Entertainment as compensation for damages as well as 1 million Yen (1.1 million Won) for defaming C-JeS’s CEO. 2012 was a year where the individual talents of JYJ shined the brightest. Now, fans of JYJ all over the world are eagerly awaiting for JYJ’s group activities in 2013, as the members have mentioned preparing for a new JYJ album and looking forward to standing on stage together again. This post will be updated throughout the day with tweets by JYJ. A time will be added with each tweet as our translators will not always be able to provide instant translations This post includes tweets from 6am KST, December 3rd to 5:59am KST, December 4th. 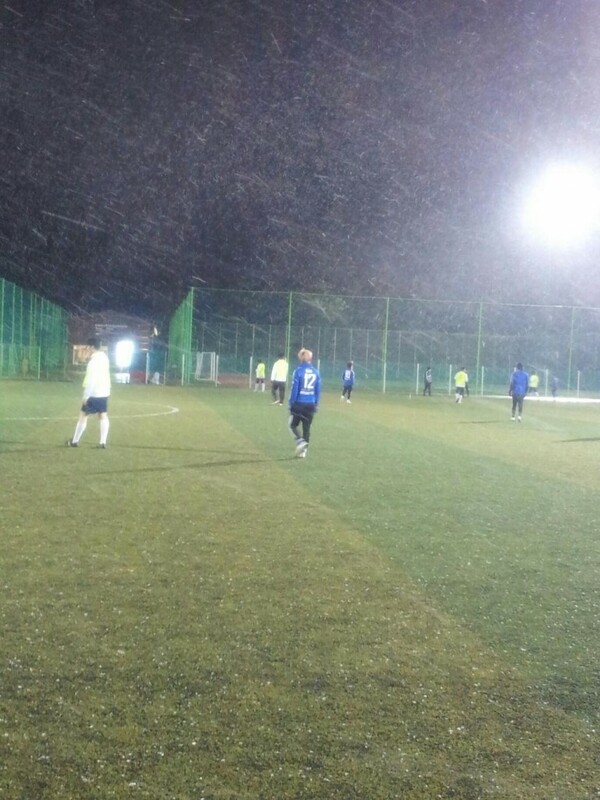 (Jung Hwan, 3:03am KST) @1215thexiahtic plmok30 Hello, this is Messi. 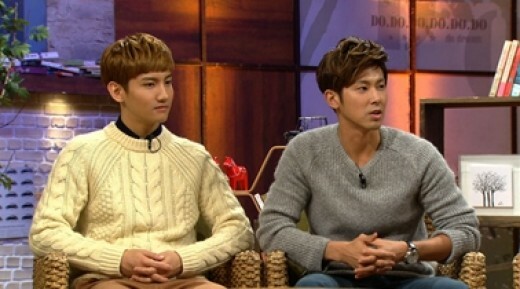 TVXQ’s Yunho recently said that he once thought about giving up his dream of becoming a singer. 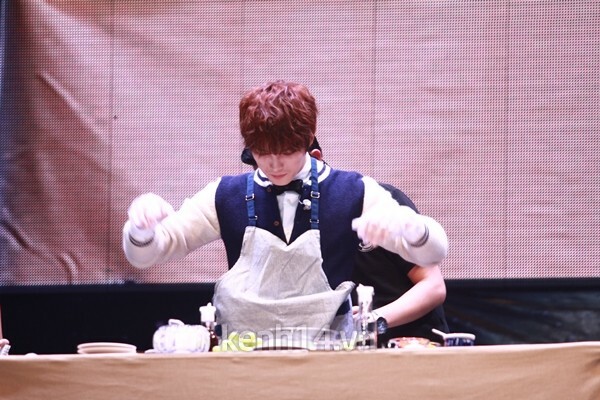 Super Junior’s Eunhyuk and Kyuhyun, who represent the same agency with the group, also appeared on the show. ‘You are indeed very fair-skinned’. The comment that naturally came out from the impression of his ramyun CF after meeting Park Yoochun. Apart from that, though filled with curiosity and desire to know, he is currently not yet tied down to a fixed image. As an actor, no matter what work he is getting ready to draw out, he will always give a ‘whitish’ impression. (T/N: clean image i.e.) Between the youthful smile and the manly shoulders, there was no clear definition of the immaturity and maturity. However after the last episode of SBS’s ‘Rooftop Prince’, he is no longer the new canvas that needs to be painted on. Putting aside the portions where he is capable of completing, this new actor was able to create scenes immediately where veterans might not be able to do so. The last scene, incident and story was able to bring upon the future development resulted from the past. 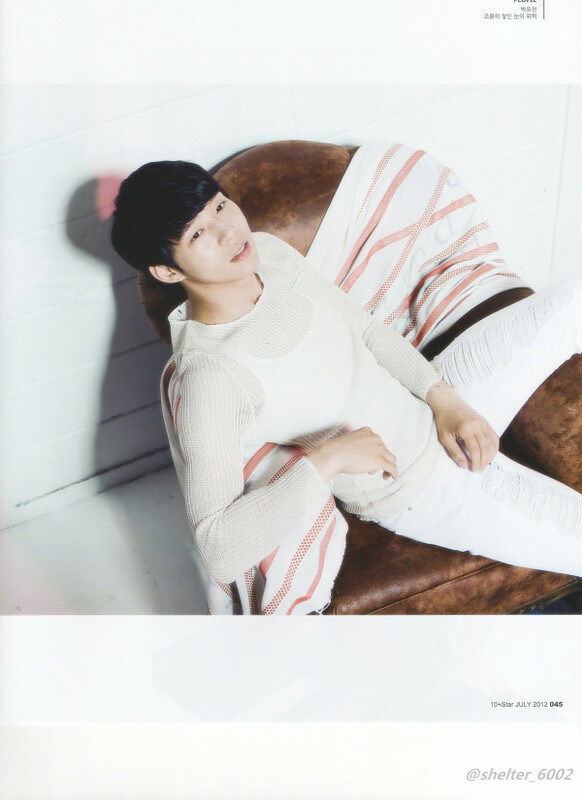 Even so, Park Yoochun still remain as ‘white’ and not other colours. The ‘pure white’ thinking he possessed is just like a night of snowfall, it quietly covers up the inadequate footsteps and used its deep and solid power to fine-tune its weapon. Amongst the singer-born new actors, to grade Park Yoochun’s distinct acting with an objective view, is his way of narrating without the correct answers to convince the judge. To actors, if he is unhappy with the technique after training, it shows that though his acting is of a beginner status but as an actor who takes on the character convincingly, Park Yoochun is one who amazingly able to find a fast track and understood the theory naturally. Be it in be Lee Sun Joon of KBS ‘Sungkyunkwan Scandal’ or Song Yuhyun of MBC ‘Miss Ripley’, he presented the result within the boundaries. With his refreshing acting, the viewers are able to feel the ‘motherly-love’ for these characters even if it forbids the common worldly concerns. Park Yoochun’s acting convinced the viewers and made them acknowledged the improving drama. However to those who are unable to understand this point, the criteria for the reviews of Park Yoochun’s portrayal of characters and works, would also definitely be different. Han Ji Min’s comment of “He is unexpectedly a good actor” is obviously a compliment but on the other hand it is also a kind of game out of mandatory. Overthrowing these prejudices, we will realised there are no ambiguous reviews against Park Yoochun. Agreement or disagreement, it all depends on the person’s point-of-view. 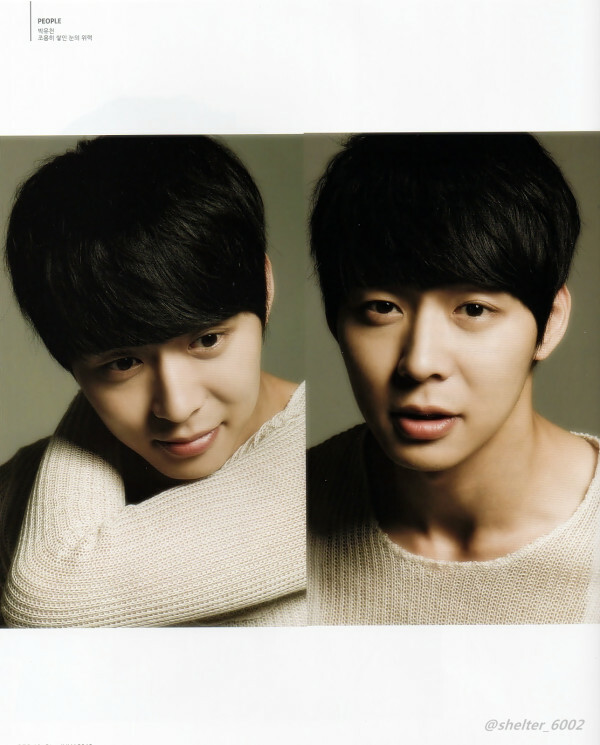 To the viewers, rom-com ‘Rooftop Prince’ is a way to understand Park Yoochun’s acting style and common supporting point. The many aspects of a drama, such as probability and theory, the digestion of a character and tempo etc, could be the underlying reasons for a failure. However the time-traveling eternal love theme was completely portrayed. One brilliancy is able to overcome the rest of the inadequacy. Not only this, for the important love story, the whimsical plot and popular lines were made alive by the actors. Lee Gak’s love was displayed through Park Yoochun’s gaze, Park Yoochun’s voice and Park Yoochun’s wholehearted portrayal. The speed and supporting points of both actors and the highlights of the work were on par, bringing light to the last scene of the 20th episode with accumulation of strength throughout the lengthy filming. “I already felt the writer’s sincerity when I was reading the script,” Park Yoochun’s true words aren’t just for formality. The determination to become an actor who can display a variety of 120 degrees is very convincing and trustworthy. Understanding the character with freedom and at ease, and coupled with the prerequisites that no one else had, the anticipation for Park Yoochun increased. Therefore Park Yoochun is the new actor that makes one flustered and yet the hope that make people anticipates. Meeting at a convergence point, exerting the same strength. And lastly, abandoning the plain water-like greenness and the mystery of new snow falling, wishing for a future filled with curiosity. A lot of self-reviews used for his own acting is, ‘Natural’ and this is one of the noteworthy point. Through the scripts, he naturally felt its charisma, naturally blend in with the character and naturally answered his co-actors’ acting. To him, being natural is neither the returning of living realistically nor a way of straightforward acting. It is a way of truly understanding the character’s behaviour and totally taking in the work. It is not a complex drawing to understand the characters, but through ‘the weighing of Lee Gak’s sincerity and firmness’ to determine the combination of both or to decide ‘If it would be better to recede from the character Lee Gak and to impersonate Yong Tae Yong through Lee Gak’s acting”. A natural conclusion from such a process. 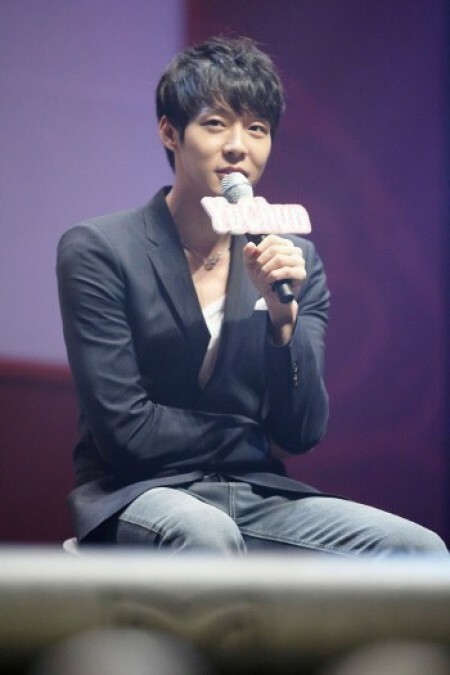 Park Yoochun who took an unique route and reached the destination, gaining points in this war. If he were to take his route the ‘theoretically-correct’ way through guidance from the satellite, he would probably be not be as freely and be tied down for the next war. The scene is still as though it is yesterday. The filming of the drama started at the same time as JYJ’s overseas concert tour, together with the settling of the pain from father’s passing, it seems naturally that he came back for filming till the end of the whole drama. Just like a child, only towards the ending of the drama schedules that we saw the exhausted look on Park Yoochun. But just like a lie, at the start of the story of the drama, Park Yoochun also started a new life. He smiled to a room of reporters and jokingly said, “Ah, it was something interesting, that’s why I said it.” He also enthusiastically revealed the funny episodes that happened and then saying that wasn’t true. The personality where he would indulged in for something interesting. 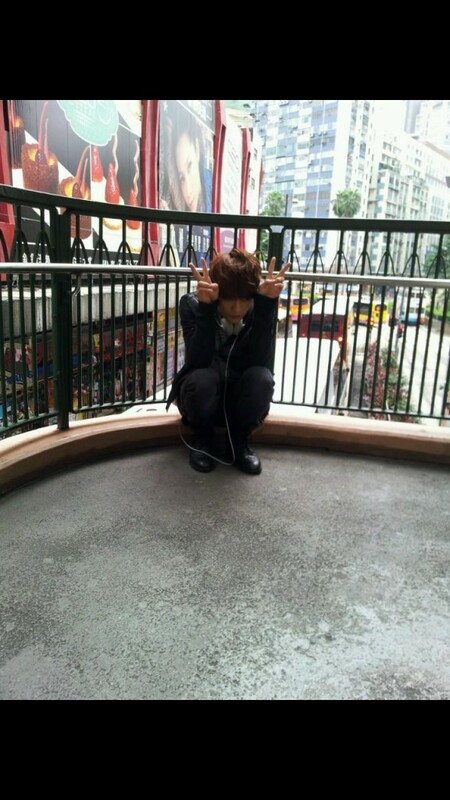 Be it on stage or the talent as a genius in drama, it is not a grand all-kill technique. That energy to attract all attention, it can be felt throughout the interview venue. The happiness throughout the drama filming and the conversation with cheerful Park Yoochun who smiled while chit-chatting, though it was such simplicity, his straightforward answers made it all so truthfully. Can you tell us your thoughts after the drama filming ended? As the drama was decided in a live-shoot system (T/N: film as they broadcast), it’s worth celebrating to complete 20 episodes successfully. When I read the scripts for episode 19 and 20, I can sense the writer’s sincerity towards his wife who passed away very well and it helped me a lot in my acting. Therefore I did wonder if it was due to this reason that the viewers’ ratings was able to take a turn for the better in the end. – Are you very happy that the ratings had a very good ending? I, myself, is not too concerned with the ratings. From my point of view, maybe it’s because I injected a lot more love into this work than the others. And I was touched from this work itself, and also was very happy that this work was able to complete well. – What’s your reason for choosing this piece of work? Simply that it is interesting. As the script is interesting, I did not even read about the character’s analysis. Just from the the two episodes of scripts that I took, I read it over lunch and felt that Lee Gak is a very charismatic character. That very night I decided to act in this piece of work and started filming right after that. – There was not enough time to prepare before filming, so you seems to have a hard time with Lee Gak’s accent? The decision was done just 4-5 days before filming thus it was very urgent. Rather than coming up with Lee Gak’s personalised accent, I am in a situation where I needed a change. Because, if we’re to continue maintaining Lee Gak’s Joseon crown prince image in front of others, it won’t be able to relay well to viewers the feeling of detachment from modern Seoul. From Lee Gak’s point of view, while constantly thinking of the remoteness and fear, the change will happen naturally. Everytime he will meet with people who speaks modern language, this situation will made him feel very awkward. – The collaboration with other co-actors made you naturally had the accent. Though there were changes to the accent, in order to create the comedic effect with the trio, Lee Gak has to maintain this sincerity. Regarding those, as there was no time to discuss with them beforehand, therefore the effects can only be created on the spot through mutual cooperation while filming. While rehearsing, emotions can be controlled. Especially during the 1st two episodes, due to those parts, the filming duration was extended. However because of the good collaboration with the trio and good adaption to Lee Gak, thus there was no sense of uneasiness. After getting used to it, the adaption with Lee Gak also got better. – In the end, Lee Gak was not over-shadowed by the trio gang. And thus “three-generations extermination”-like script lines appeared, making its comedic effect. The joint forces of two different genres – drama and comedy, how do you adjust it? Regarding the genre, it was not differentiated on purpose. Just simply drawing out Lee Gak’s sincerity and stern image. Therefore I have never thought of whether is it due to the situation that makes it funny or Lee Gak’s acting that is comical. Because I always think of myself as Lee Gak, no matter if it’s for preparation for the situation or for better adaption into the character. – Han Ji Min ever mentioned in an interview that, “Park Yoochun did not calculate a lot about his acting, he is a good actor” and I’m not calculative about how much he can do. In fact during all the drama filming, there would be situations whereby some things can or cannot be done, or when sleep is not enough but you still have to familiarize yourself with the script. Under such circumstances, one have to use that instantaneous force to carry on filming. If, for example, under such circumstances and without any calculation, then that would be result of good collaboration between actors. In order to get good feedback from the live broadcast, we were helping each other’s acting with everyone focusing. 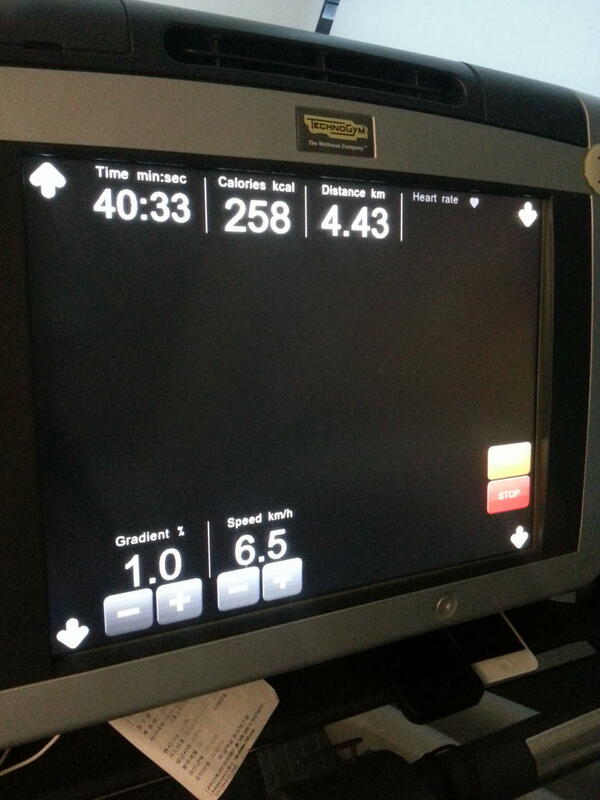 – In order for that instantaneous force, focus is mandatory. During the beginning of the drama, JYJ was having concert tour too, and other issues such as the traffic accident or personal matters. It seems tough for you to put yourself in completely for the filming. During the previous drama MBC’s ‘Miss Ripley’, I was still unwillingly under the pressure from KBS’s ‘Sungkyunkwan Scandal’. I felt the pressure in the beginning and slowly my self-confidence diminished. Therefore, I did thought of giving up in the midst of filming, but I overcome that in the end. I ‘planted’ that problem after all. Therefore, my burden for this drama was lightened. I did not really have the determination to do it really well. To the extent that I did not even think of the ratings. I just naturally got myself indulged in the drama. It’s the best this way. – Due to the saeguk part in the beginning, others might compare this with ‘Sungkyunkwan Scandal’. Honestly, it aroused curiosity as to whether you are able to shake off that drama’s image. Lee Sun Joon and Lee Gak seems to be two complete different characters due to the difference in status, therefore, no doubt believed they have the same character image. Because of such thinking, I felt at ease. But no matter Lee Sun Joon or ‘Miss Ripley’ Song Yuhyun, I used a gentle tone for the lines. At first I had wanted to grasp the ambiance, however, I felt that it’s not good enough for a stern ambiance. Thus, I adjust the strength of the tone and to the extent of breathing practice. As for the tone ending, I focused on it and this way, it’s closer to being Lee Gak. – While establishing the leader image, you have to face the impact of crown princess’s death right in the beginning. Was it difficult to get into the character’s emotions? (No,) On the contrary, it felt more convenient. Upon knowing crown princess’s death, I just had to use anger and grief. This kind of portrayal is in fact easier. 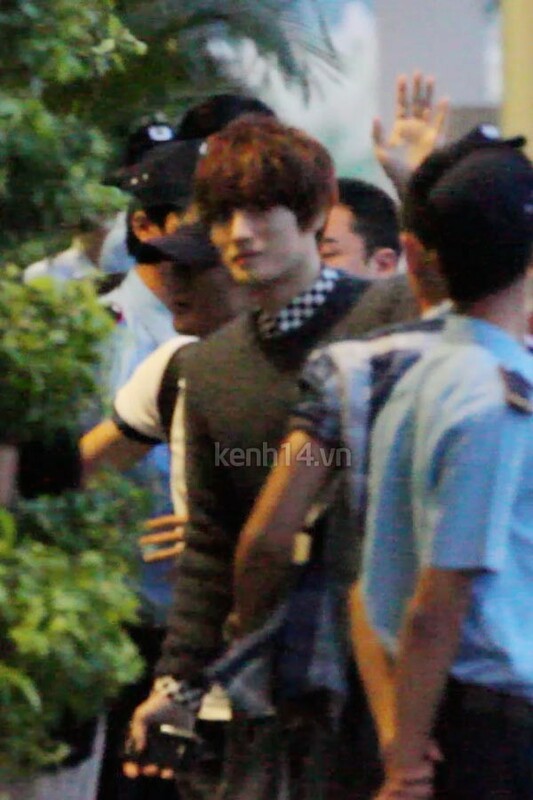 After that, at the same time with the arrival in Seoul, the emotions turned complicated. Even when meeting the reincarnated Se Na. But, right after acting, I’m not sure if it is due to the lessening of stress, even when I felt difficult, I was still able to go through with my acting calmly. Burden was lessened too, and so turning acting into an enjoyment. 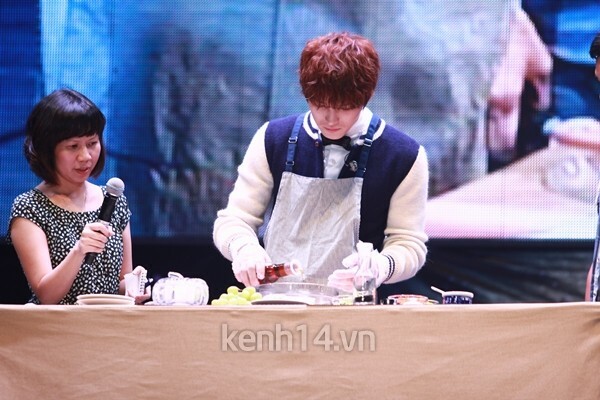 – You said on Twitter that you anticipate the character Lee Gak and wrote thankful notes. Did the indulging in the troubles of acting relieve all the other troubles that you had? This too. It’s not as if emotions can be come as quickly during filming. In fact, the return to the filming site after my father’s funeral was not an easy thing. But there were too many scenes of mine and there’s the responsibility that I shouldn’t give up this piece of work that I chose, therefore, I felt that I should return to the filming site. At the same time I was troubled. How am I supposed to smile with my feelings at that time? However, when I reached the filming site, there were people who consoled me and those who worried that I would feel burdened if they consoled me and thus tried to talk to me as per usual. I gradually returned back to my normal life and started to relieve my heavy heart. It was only after the drama ended that I realised I received so much consolation from the actors and staff through the character Lee Gak. Even for those who accidentally consoled me, every single thing became a consolation to me. – I know you shed a lot of tears during the last filming. Though it was from Lee Gak, there should be tears from Park Yoochun’s feelings, right? Though during the period of time the camera was working, I teared as Lee Gak totally, but during the last scene filming, it was chaotic on the scene. Suddenly as Yong Tae Yong, and suddenly, “Yoochun ah, go changed your clothes and come!”, “Yes!”, and then quickly changed into Lee Gak and filmed again. It was such situation that there was no time to get into the character totally. Everyone just want to watch the broadcast quickly (laughs). Nonetheless, during the last moment, I did teared as Park Yoochun. – There were many explanations for the ending. What’s your interpretation? It’s 100% Yong Tae Yong. Though I felt that he would not have any memories of Lee Gak, but if we’re to differentiate Lee Gak and Yong Tae Yong too much, it would be too desolate for the rest of Park Ha’s life. Therefore, I hope to leave a bit of reincarnation feel. It’s the same when Yong Tae Yong and Park Ha met at the cafe, the script described it as “totally unrecognizable”. But after communication with the director, the feeling changed a bit. Therefore, though Lee Gak’s look was an imagination, it relayed the feel of this work through something realistic. If your beloved one left, you will never see him/her again. Therefore, the term ‘reincarnation’ represents the deep-hearted yearning, pain and sadness. These could be the reason why I didn’t cry while acting as Yong Tae Yong but as Lee Gak. – Not only the last scene, in the later half of the drama, the different portrayals of Yong Tae Yong, Lee Gak who impersonates Yong Tae Yong and Lee Gak were pretty excellently done. Due to the consideration on how to portray these parts, it seems even more interesting. It end up helping in establishing Lee Gak’s character. After becoming Lee Gak well, it seems effective for the display of Lee Gak impersonating Yong Tae Yong. However, during the portrayal of Yong Tae Yong, due to the insufficient time, Lee Gak who have to continue impersonating, had to keep up with the modern way of speaking. With the new problem arising, Lee Gak who is impersonating Yong Tae Yong did not seem indifferent while talking to Tae Mu. Thus, wearing of spectacles became the way to differentiate the two. Meeting up with Park Ha was also the way to relate the two. Wearing the spectacles will be Yong Tae Yong and removing it will be Lee Gak, it has to be differentiated. Impersonating Yong Tae Yong under such whirlwind circumstances, it looks like there should be a way to represent the (Lee Gak and Tae Mu’s) opposition. The soul was not able to be filled up well, therefore it was kinda regretful. I did consider adding the action of pushing up spectacles but as the photoshopped photo of ‘Detective Conan’ was circulating, I gave up in order not to let others think that I am mimicking (laughs). – It seems that due to the plot, you are to express it as per your wish. As compared to previous works, your acting this time was shown without restrictions. Was it due to love? I really felt a lot of happiness in this work through a freer performance. No description but just script lines, it ended my desire to further understand how to unleash myself. Director trusted me and hoped that I can release it all out. I later on realised again the joy of performing. As it was not known in a structured way, I felt even more at ease. In fact besides the scripts and even after broadcast, a lot of chances were made and therefore there were a lot more ad-lib performances. Especially in the scenes where I met with the trio gang, the ad-lib performances were over-flowing. – Though the things experienced were different as an actor, they were experiences not felt as a singer, as all along you are presented as a group on stage. As a singer, there were times where I can freely display while standing realistically on stage, especially when it was enjoyed as a group with the members. However, the condition to enjoy this kind of freedom situation was insufficient. As I was able to remove the desire in other regions at that time, I was very happy. Realising that in order to exert so freely, it needed life experiences after all. When an actor starts to be into his character and hooked up with his life experiences, it’s as though the portrayal can be retrieved (from experiences) easily. The scene at the pond where I was carrying Park Ha and shouting, I actually experienced that before, thus I was able to display it out. This is a work where I can relay to many incidents with my own feelings. I felt quite lucky regarding this, it’s like a blessing as an actor. – You like the way you can perform and breathe freely as an actor and thus worked very hard for this. I’ve heard that you made effort to create a happy environment at the filming site. Making effort to finish a thing in order to reach the target, and then returning back to the filming site and felt the responsibility. As I passionately love it, it naturally turned out that way. I have to visit 70-80 filming sites in a week and thus cannot find where I belonged. I did thought of being more relaxed and not so restrained, therefore I became closer with other actors and thus don’t have to be too careful and mind-straining. And also other actors took great care of me and trusted me. We helped each other. Especially Han Ji Min nuna, she accepted my ad-lib performances during rehearsals and trusted me. Because of her, I was able to act out naturally and thus shared my view on Park Ha’s character. Under such situation, it was able to lead Lee Gak. – The accumulation of those trust, was there a common ground that you shared? I did not feel anything during rehearsal for that scene at the ending of episode 19, but after looking at how Ji Min nuna reacted, all my emotions rushed up at once. I am originally the kind who would not even cry while watching a melodrama movie. But after looking at nuna at that moment, I thought a lot and at that moment, I felt that it was the same feeling I had when I let slip of my father and felt very very sorry. With such pain, I unknowingly teared. I used to not able to cry at such scene. 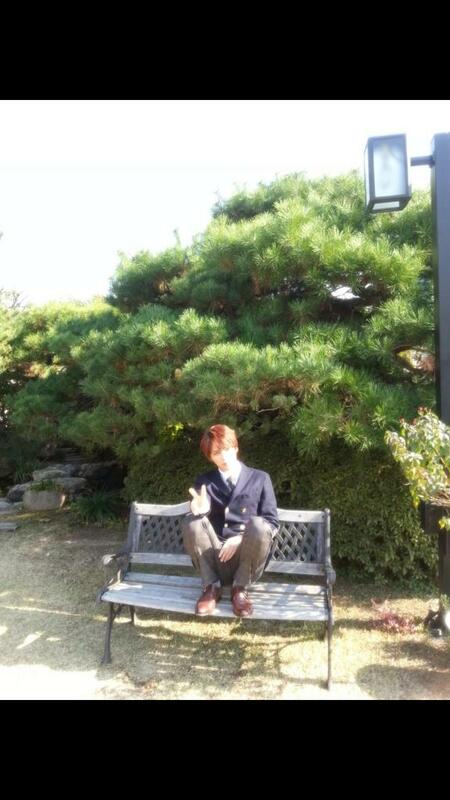 While filming in such emotions, even though (I) was disappearing but yet smiled saying, “It’s okay, it’s okay”. Holding each others’ hand, still able to hear each other but hands and body were vanishing, the lost feeling when the person vanished with the wind. I was supposed to focus right when the hands starts vanishing and at the same time I kept thinking, if I am able to relay the correct feeling with such reactions. At that time I really felt the joy of a good acting an actor can perform. – During the filming of this drama, you are able to cry along with your growing responsibility. It seems to become your merit and at the same time discovery of many precious moments. Ah, this… this is not a merit. I think the scene where I am even more satisfied is the scene where I first kissed Park Ha. Lee Gak teared at that moment. Many people were astonished and so does the staff at that scene. However, I felt that the confession from Lee Gak to Park Ha was unlike a pair of usual couple where one had a crush on the other for a long time. It was the decision to give up Joseon, it’s the determination to be together and yet do not know how to express it. I think this is the reason why I decided to tear. – You said in the past interviews that you hope to act a character engaging in psychological-war. Good acting is to train you to be even more professional. As compared, it doesn’t seems to be a bad idea. Developing strength and receiving strong points, therefore, I wish to act in a more multifaceted character. I am still having the desire to act an extreme character as a psycho-killer. Maybe it’s because I enjoyed the acting this time and thus began to worry for the choice of the next work. I am now still searching for a good pivot point and it seems troubling. But I will overcome this extreme difficulty. It would be of great help to me if I find the answer. – So, what theme would be good for your next choice of work? I personally am okay with character that is younger than 20 years old, I still want to act in those pure innocent crush or sad love drama. But as I aged, I would want to be like outstanding veterans who would not give a care about the make-up or the focus of entry. Just the skill of acting will do. Though it’s a moment of acting that you all saw, it was actually an outright performance by someone. I want to be 100% like that, no, 120%. To be such a person is my target. In conclusion, this work is convincing. This is as though overseeing an amateur golfer putting his first ball into the hole. From technical parts like enunciation, vocal, breathing to acting route etc. Though Park Yoochun is still a new actor, his resume can not be hidden. His attitude is different too. As his way of ‘hitting’ (the ball) is not yet matured, you have no idea when he will hit the ball into the sand pit. He is such a player that worries those who are watching. However, he is an experience professional who would not yield to others’ command and is someone who put aside the competitiveness to enjoy the competition. Maybe at times Park Yoochun was unable to finish some technical things, but gained his victory from the viewers through sensibility. If we’re to scrutinize the lines and script, the trouble when Lee Gak just ‘time-travelled’ from Joseon to Seoul and the palpitating emotions when falling in love with Park Ha, were sufficiently relayed. Although he was not an outstanding actor, he was an actor who display outstanding acting, different from actors who developed at a normal pace. It has been revealed that JYJ member Kim Jaejoong, who will be acting in his first period drama with “Time Slip Dr. Jin”, will be participating in the OST. On 21 May, staff of the new MBC drama “Time Slip Dr. Jin” said that Jaejoong, who plays the powerful officer Kim Gyung Tak will be participating in the “Time Slip Dr. Jin” OST. Jaejoong’s song “Even Living Is Like A Dream” is a haunting song about the pain between Jin Hyuk (Song Seung Hun) and Yoo Min-ah (Park Minyoung). It is also noted that Jaejoong wrote the lyrics for this song. News that “multi-talented idol” Kim Jaejoong who has been active both in singing and acting will be participating in the OST has made fans very happy. This song will be released online on 25 May, on various music sites. Famous American choreographer Jeri Slaughter has praised JYJ’s Junsu’s abilities.